THE MODEL – 1919 is the year my dad was born, and the year Berkbinder & Brown began selling its wares to the farmers and ranchers of Bonne Homme County, South Dakota. 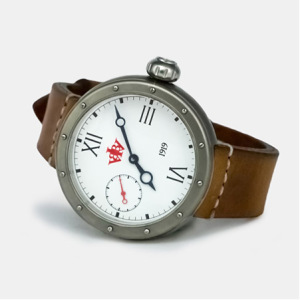 The watch reaches back to that time for its design. 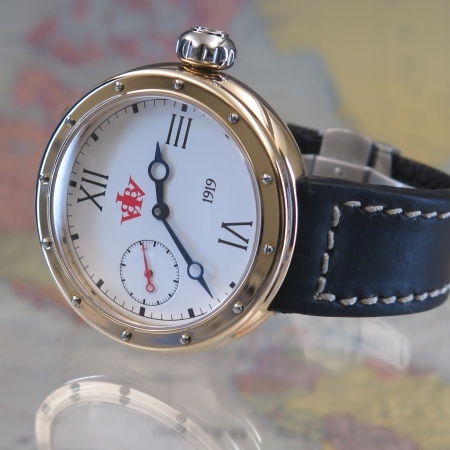 It was a time of pocket watches, and the beginning of wrist watches. 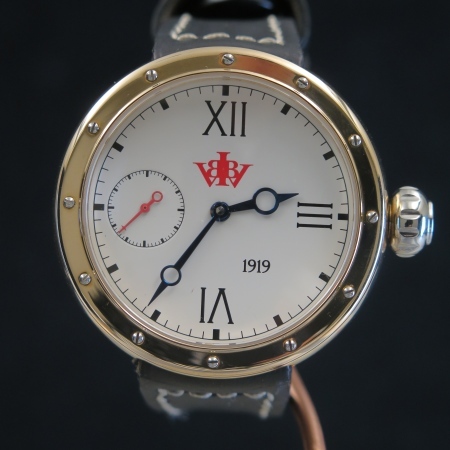 The 1919 takes its cues from the pocket watch, the round and sensual curves, pleasant to the hand and solid to the touch. The crystal is domed to contribute to the softness and comfort of the watch. 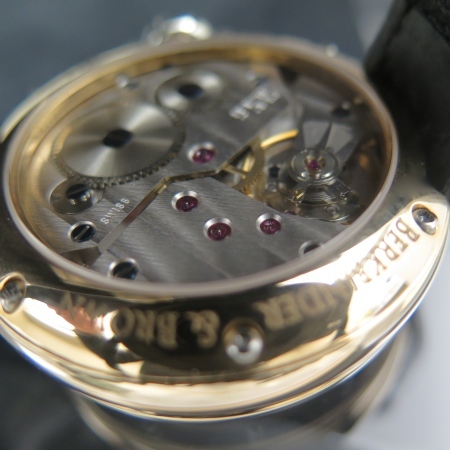 The exhibition back permits viewing of the ETA 6497-1 movement, housed in its mechanical chamber. 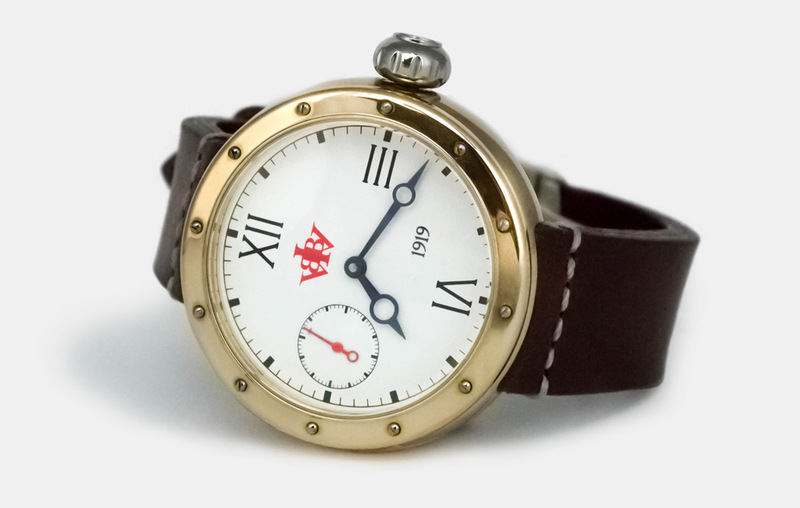 The crown is large, since winding should be a tactically pleasant experience on a manual watch. 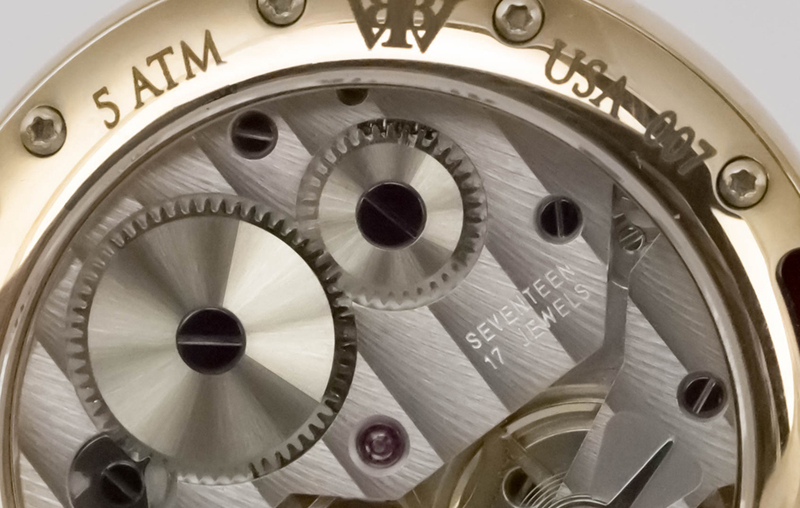 The visually exciting shape of the crown is found on the most modern machinery at the turn of the century. The 1919 is today’s answer to what we remember and miss about our heritage. 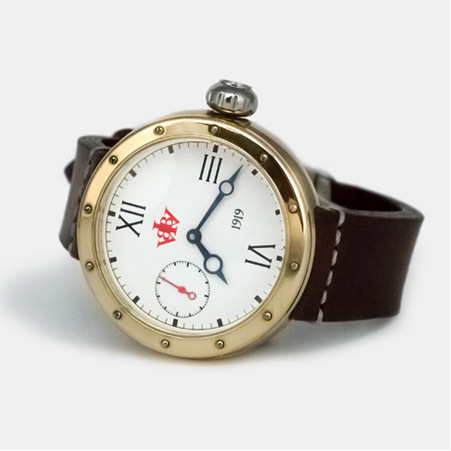 THE CASE METAL – is alloyed 903 Marine Bronze, the same alloy as the T46. The case finish is a high polish vs the directional graining of the T46 case. 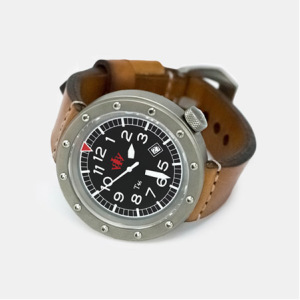 This dressed up the watch considerably yet still permits the case to take on a rich patina that will enhance the character of the case.